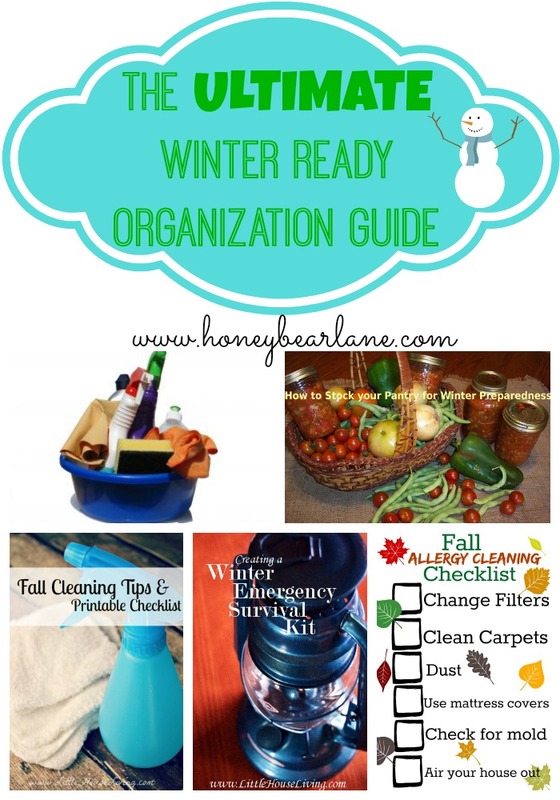 Winter is just around the corner, and it’s time to start getting organized and prepped to make it through the season! This ultimate compilation of lists is sure to have you ready for the winter by giving some Fall cleaning tips that lead you right in to Winter feeling ready and prepared for anything! These lists are all encompassing and will have you prepared for all facets of life, so no need to look any further! Get Winter ready with this cleaning checklist! And don’t forget to go through and organize your winter accessories! It was 90 degrees outside only a week or two ago and then after a few good storms, it’s been in the 50’s and 60’s all week! It’s crazy how the weather goes, but it’s a good reminder of how we all need to buckle down and get everything ready for the winter. And in Utah, since we have what feels like endless winters, it’s good to be ready. What a great resource guide you’ve put together here. Guess I’ll be busy this weekend getting ready for winter. Thanks for including my healthier home checklist. Thank you so much for sharing my post! Off to check out the others. Sharing! Thanks Heidi great list ideas. Though sometimes you know things a list helps to get things done.